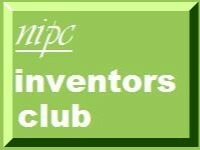 By coincidence both the Sheffield and Leeds Inventors Groups had excellent presentations from product designers in November 2011. John Biddleston of The Big Consultant spoke to Sheffield on 7 Nov. He has posted his slides to his blog which you can view and download here. Alex Smith of TRIG Creative spoke to Leeds on 16 Nov 2011 and you can download his talk "Cost Effective Product Development" here. John and Alex represent just two of many excellent design consultancies in Yorkshire. Others include Matthew Conley of HJC Design of Barnsley and Richard Hall of Pd-m International of Harrogate. All of them are friends of the Leeds and Sheffield clubs.